A letter from a girl to JRD Tata in 1974 – COME MAKE IN INDIA.SELL ANYWHERE AROUND THE WORLD. THE GIRL WRITING AS HERSELF…. I was looking forward to going abroad to complete a doctorate in computer science. I had been offered scholarships from Universities in the US… I had not thought of taking up a job in India. I thought it must be one of the Tatas. 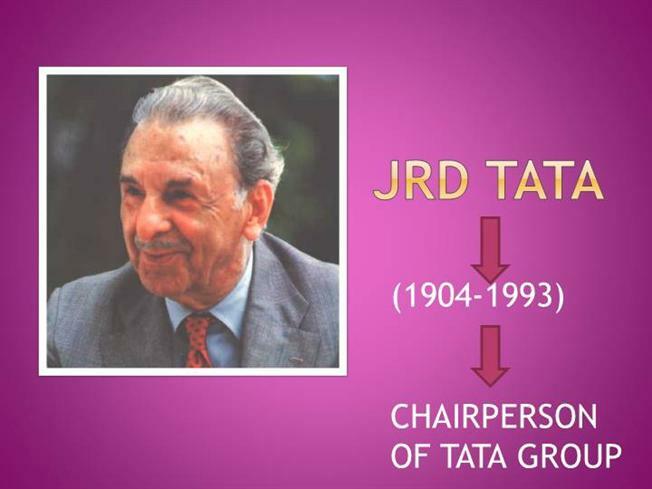 I knew JRD Tata was the head of the Tata Group; I had seen his pictures in newspapers (actually, Sumant Moolgaokar was the company’s chairman then) I took the card, addressed it to JRD and started writing. To this day I remember clearly what I wrote. It was only after joining Telco that I realized who JRD was: the uncrowned king of Indian industry. Now I was scared, but I did not get to meet him till I was transferred to Bombay. One day I had to show some reports to Mr Moolgaokar, our chairman, who we all knew as SM. I was in his office on the first floor of Bombay House (the Tata headquarters) when, suddenly JRD walked in. That was the first time I saw ‘appro JRD'(આપણો JRD). Appro means ‘our’ in Gujarati. This was the affectionate term by which people at Bombay House called him. I was feeling very nervous, remembering my postcard episode. SM introduced me nicely, ‘Jeh (that’s what his close associates called him), this young woman is an engineer and that too a postgraduate. Many years later I met Ratan Tata in the same Bombay House, occupying the chair JRD once did. I told him of my many sweet memories of working with Telco. Later, he wrote to me, ‘It was nice hearing about Jeh from you.